When you hear the word meditation, you’ll most likely think that it’s boring and dull. Truth is, you can actually get a lot of benefits when you meditate daily and religiously. If you are always stressed out, anxious and short-tempered, meditation for beginners can do a lot to help clear your mind. Meditating may seem kind of weird at first but it will definitely get better in time. For a beginner like you, here are the basic steps to meditate and finally get that relaxation mood you want to get into. 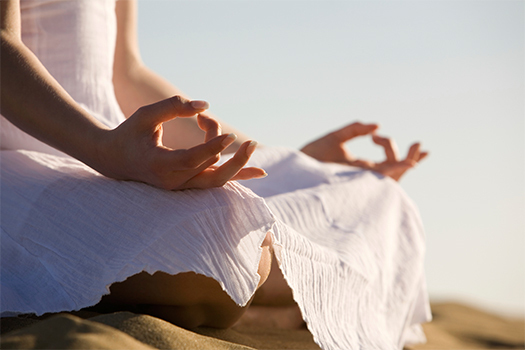 Start your daily meditation with at least 5 minutes of relaxation. You can also increase it to 15 minutes as you go along. Meditation should be done daily to keep your head clear and give you the energy for the day. Choose a time within the day when you can have an “alone” time. No distractions, just peace and quiet. It could be early in the morning, before the kids wake up. Or it could be after they’re all gone and you’re all alone in the house. Before you find the most suitable position, loosen up a bit and relax. It may be hard to sit still especially if you’re a beginner. So find a position where you are more comfortable. You can either sit, lie down or even stand. It’s your choice. For a beginner, it may seem hard to focus as your mind may start wandering once you close your eyes. The key here is to focus on your breathing pattern. You can close or open your eyes while meditating. Whatever works for you is alright. Take slow and deep breaths. Do it naturally and you will eventually feel more calm and relaxed. There are times when your mind will begin to wander. This is completely normal and you can control it by going back to your breathing pattern. When you feel like your mind and body has finally gotten recharged, you can slowly end your meditation. Any time that you’re ready, just open your eyes slowly and stand up slowly if you’re lying down or sitting down. You did a good job. Give yourself a pat on the back. Constant practice will make it perfect. When you do your meditation for beginners often, your mind will also wander less. Take things slow and within the pacing that’s comfortable to you. Remember that it’s hard to sit still even just for a few minutes. It doesn’t matter if you can only meditate for a minute or two now. The important thing here is that you are actually eager to make that effort of letting your mind and body relax after a day’s work.